Digital cameras allow us to take troves of pictures without worrying about where we will store them. However, there are very few creative ways of actually displaying these pictures. PixelApp Studio’s Magic Collage 2.3 solves this dilemma by creating beautiful collages from your image files. In this week giveaway, we will be giving away 10 license keys for this awesome photo collage software. But first let’s see what Magic Collage is capable of doing. The application has a very simple intuitive interface. The main page clearly distinguishes between your photos, the collage preview and the options panes. 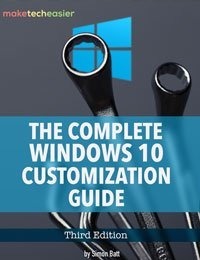 Unfortunately, the choice of colours for the main window are not the best and it can be difficult to read some of the text. First, you must add image files to the collage by clicking on “Add Picture” and selecting “Add Picture” or “Add Folder”. Depending on the size of your picture or pictures folder, it may take some time to add the pictures into the application. Once added, your pictures will be displayed in the left pane. Once the pictures are in the application you have a number of different collage styles. These are displayed in the “Shape & Option” tab. There are a number of different graphics that serve as the template of your collage. These graphics include shapes of birds, cats, paw prints and many others. If you are not satisfied with the graphic options you can make your own by hitting the “New” button. 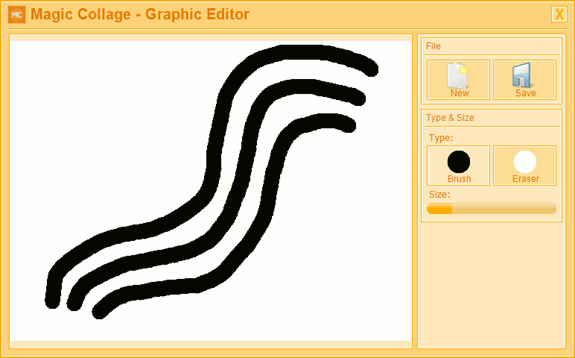 This will launch the “Graphic Editor”. Pictures: This option changes the total number of pictures in the collage. If you have 100 pictures in the collage and you set Pictures to 1000 all your pictures will be repeated ten times. It is a little difficult to set this option so that the pictures are not repeated. You essentially have to move the slider to match the number of pictures that you have added. The “Appearance” tab has a number of other options to alter the look of your collage. 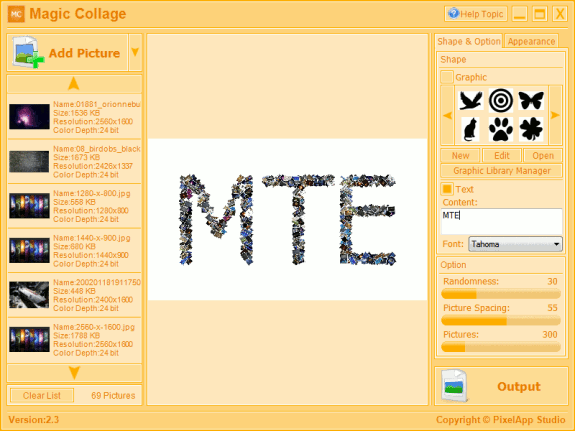 Picture Size: This determines the size (in pixels) of each picture in the collage. Max Rotate Angle: This option changes the maximum number of degrees each picture is rotated to. If you set it to 0 then the pictures will appear in their original rotated format. Picture Border: This puts a border (with a colour of your choice) around your picture. Picture Shadow: This puts a shadow behind each picture. Background: This option changes the background of your collage. 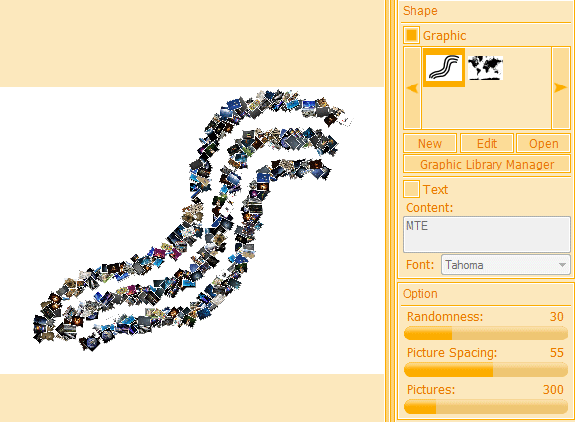 Once you have settled on the final look of your collage select “Output” and save your picture. Fill up the form below. This is to make sure that we can contact you when you win the license. We promise that we won’t spam you. Share this post either in Facebook or Twitter, and optionally leave a comment. This giveaway begins now and ends Wednesday, 29th September at 2359hrs Eastern Time. The winners will be selected at random and announced via email. Thanks for the contest, handy software to work with in conjunction of my freeware photo application. This will cover areas that is not included in my free photo manager. Plus this is a way to share memories with others.